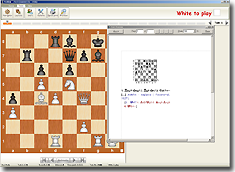 If you are a beginning player, you can’t afford to miss mate in one if you want to improve. 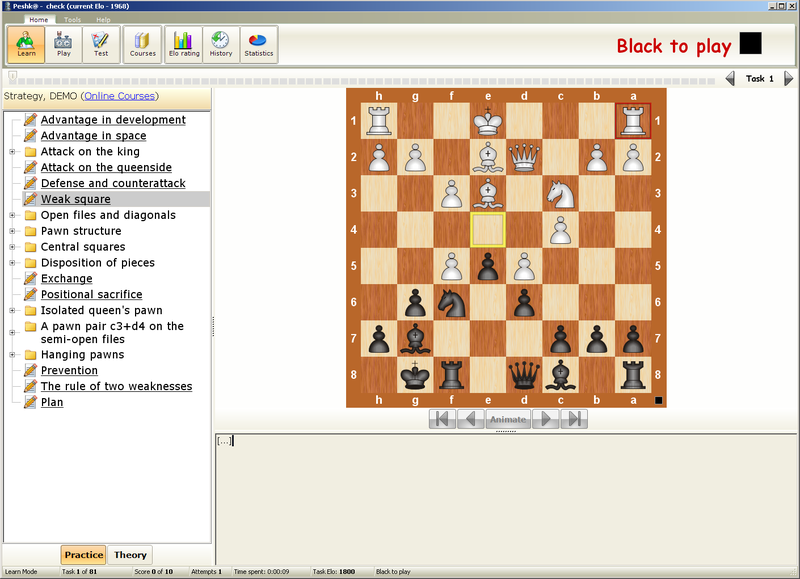 This chess training course addresses that problem. 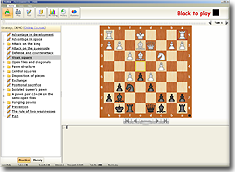 The huge collection of chess puzzles makes it an excellent tool for speed training, even for stronger players. 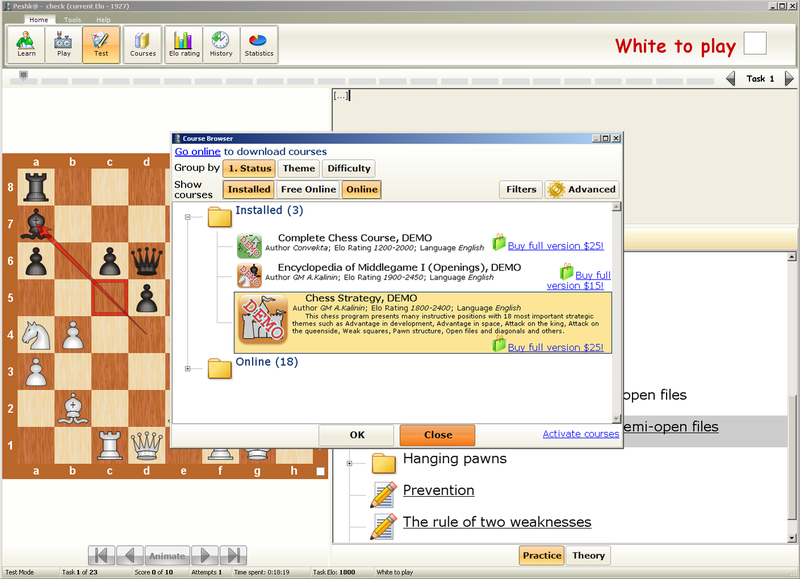 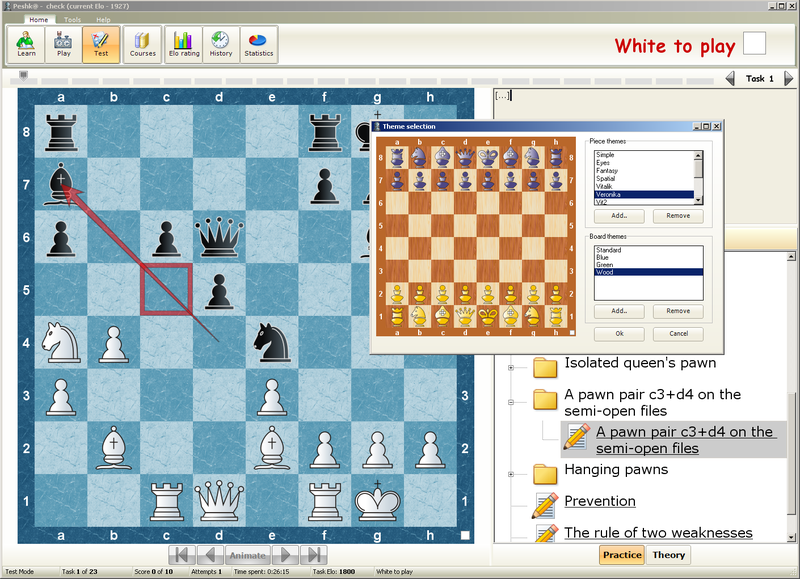 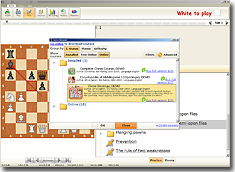 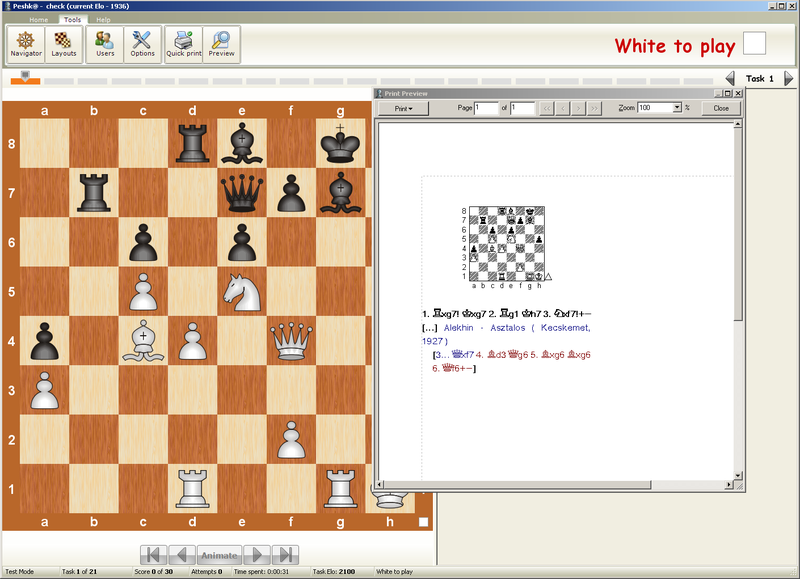 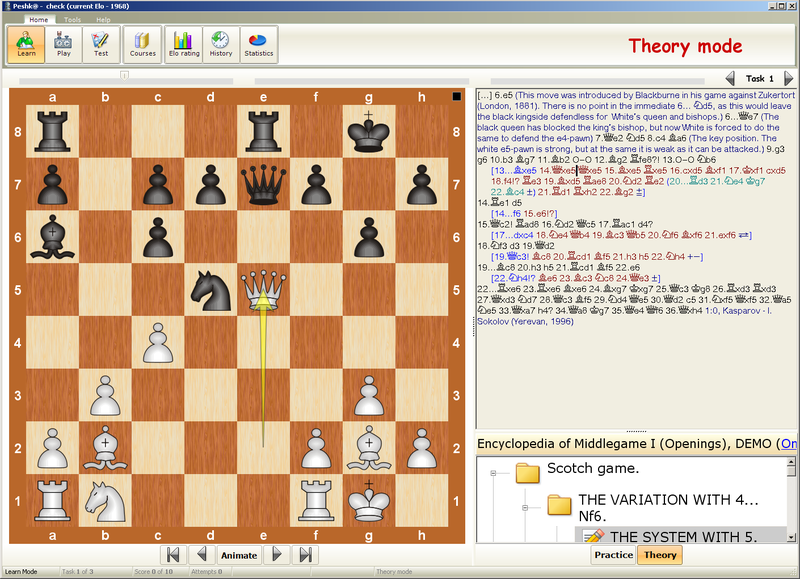 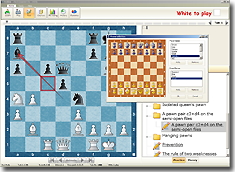 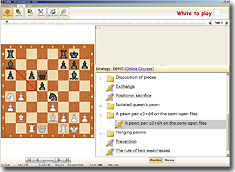 This chess training software includes 40,000 exercises taken from real games with few pieces left on the board. 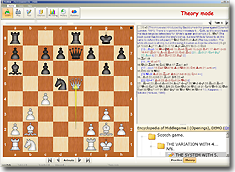 Even solving just 10% of the exercises will ensure that you learn a huge number of mating patterns and probably never miss a mate in one again! 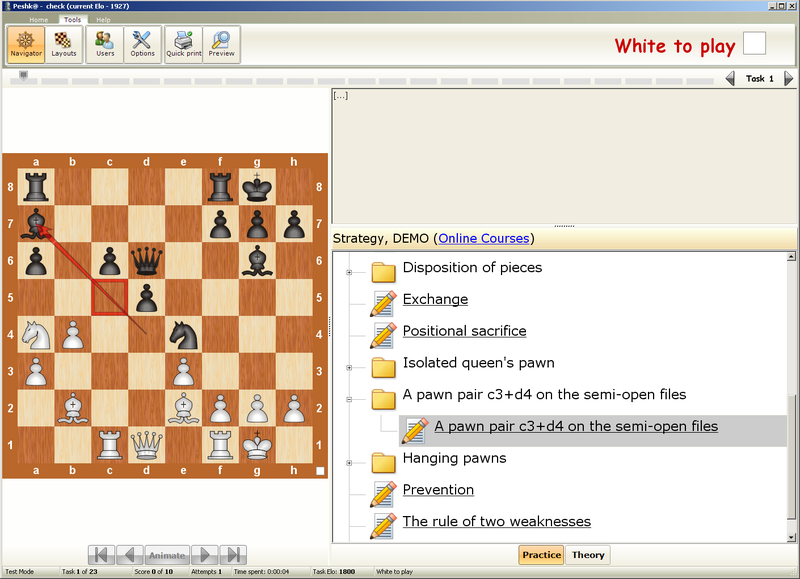 There is a follow-up course Checkmates II.